Finally! 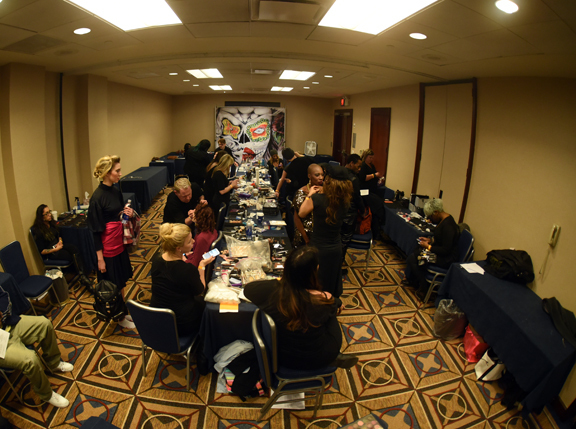 A professional fashion show production in New York City and other cities is affordable. No need to trouble yourself with lighting, staging and other logistical details. Focus on your collection. Our production team, headed by Andres Aquino, has decades of experience doing top-notch events in New York, Palm Beach, Cannes, Monaco, Paris and other cities. Runway viewed from photo/video area. Runway viewed from models’ entrance. You will also have access to the runway for rehearsal. OPTION 1. Ready to Show. 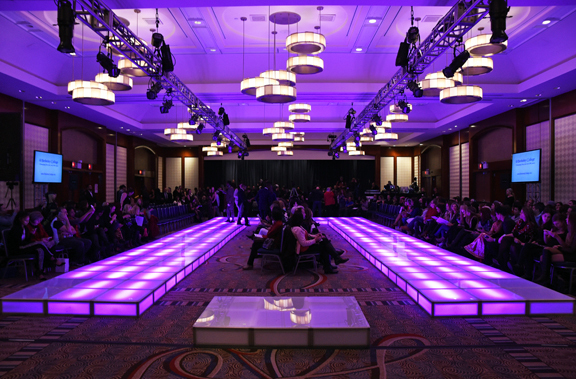 Fashion show production includes rental of the venue with all technical elements. Suitable for ready-to-wear, high fashion, accessories, and more. YOU BRING: Your PR, models, audience and creative team. Please inquire for special lighting or staging requests. OPTION 2. Entire Production. The professional CFW team takes care of everything, from model casting to complete fashion show production, press and audience. 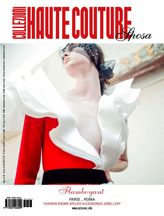 Your show will be part of Couture Fashion Week New York. Suitable for couture, evening wear, luxury ready-to-wear. Fixed price per outfit. YOU BRING: Your garments. Plenty of space for hair and makeup. Also available: Space for fashion presentations and workshops during Fashion Week. Please inquire. Venue specs: Exceptional show space, photographers riser, large backstage, reception and red carpet spaces. Exact number of seats, lighting and runway subject to setup. OPTION 3. Fashion show production in your choice of city, venue and date. Email us for pricing and more information. Include your name, website/Facebook, telephone and your choice of Option 1, 2 or 3. Inquiries without a website or Facebook address will not be acknowledged.